Make sure you are using Sider’s lastest version. If you’ve never used it before, then please get familiarized with how to use it (where to install it, how to set it up, etc) It’s VERY easy and it’s the BEST way to mod your PES. Make sure you download all the Stadiums by MJTS. 3 Packs (the first one has 9 Stadiums, the second one has Stamford Bridge Beta and the third one has Santiago Bernabeu) and add them to your game. You can do it either via DPFileList or via LiveCPK. I use the latter. Copy the two folders inside the GFX MOD 2 pack you’ve downloaded (GFX_MOD and Modules) and paste both folders inside your PRO EVOLUTION SOCCER 2019 main folder. Now, open the file Sider.ini (you can usually find it in PES 2019 root folder, or inside the folder named Sider). After this line: livecpk.enabled = 1 – press enter on your keyboard and add this: cpk.root = ".\GFX_MOD" (you MUST place this above any other CPK.ROOT line, so it has priority). After this line: lua.enabled = 1 – press enter on your keyboard and add this: lua.module = "GFX_MOD.lua" (you MUST place this above any other MODULE line, so it has priority). That’s it! Now, make sure you run Sider.exe before launching PES 2019! What’s GFX MOD? – A little history. GFX MOD is a mixture of different techniques. I started the GFX MOD project for FIFA 16. When everyone was using SweetFX, I discovered a new technique: the Color Grading/Color Correction via LUT editing – That many started to use after that. Then I started the GFX MOD project on PES 2017 and slowly started adding more content to it. Now, GFX MOD consists on: New set of turfs, brand new day lighting, exclusive new Afternoon type of lighting with new sun position, new night lighting, new textures, color correction, etc for over 37+ Stadiums. My main focus is to lift the gaming experiences and bring it closer to what you can see on a real football TV broadcast. Most of the work has been compared side by side with actual screenshots/images from TV broadcast in order to make every stadium different, with colors, vibe and atmosphere closer to what you see on TV. Is GFX MOD 2 compatible with EVO-SWITCHER? Is GFX MOD 2 compatible with PTE PATCH / PES GALAXY / OTHER PATCHES? Yes, definitely. In fact, I’m using PTE PATCH myself. 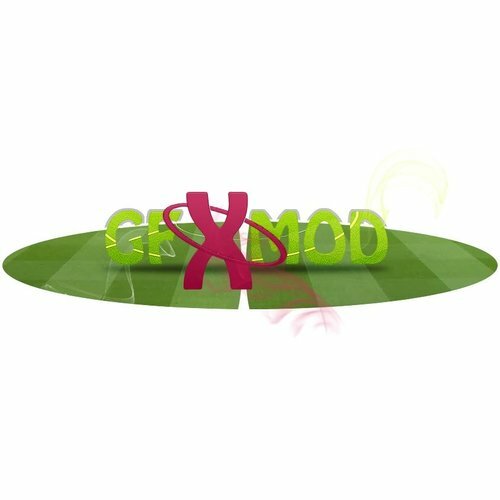 Is GFX MOD 2 compatible with other Turf/Pitch/Grass mods? I would not recommend it. I can’t guarantee it will look as good with other type of turfs, as I’ve adjusted every little detail to work and look as realistic as possible with my own turfs. Try it at your own risk, but I won’t be answering or helping people that’s trying to mix content from GFX MOD 2 with others. First of all, make sure it’s not something else. A different patch/module. Try rebooting your PC and see if there was any program/malware slowing your PC down. If you’re 100% it’s the GFX MOD 2, then you should probably remove it, because... unfortunately, your PC might not be a high-end PC with enough power to run it. It would be rare, but it’s possible. I can’t do anything about that. Can I use content from your GFX MOD 2 in my own MOD/PATCH? Credit me (I’m Chuny on Evo-Web and my real name is Fede De Blasio). Leave a link for the GFX MOD 2 Thread at Evo-Web in your post (whether it’s on Facebook, Twitter, or any Forum). I would like to thank all these people, in no particular order, that have helped me or contributed to the GFX MOD in one way or another. Juce, MJTS, Nesa, Mohamed Alaa, Hawke, Zlac, Shawminator, Konami, PES Team. Thank you for the support! I hope you enjoy it! Please remove, or rename the previous GFX_MOD FOLDER and the GFX_MOD.lua module just to make sure you're running a fresh clean version!